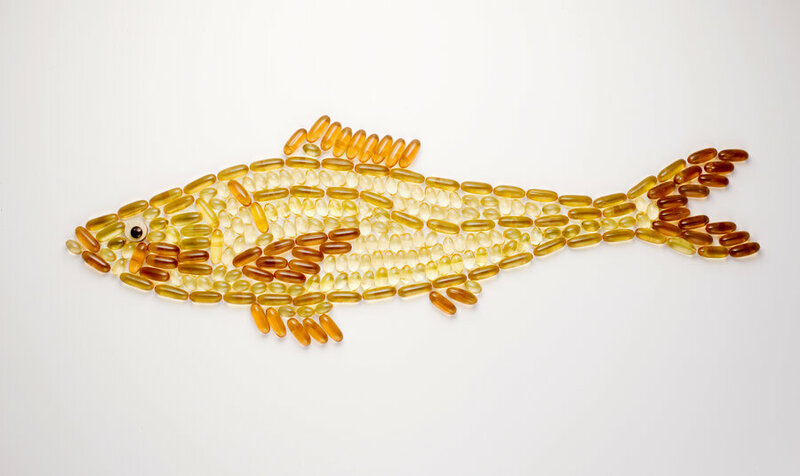 When you think about supplements that you need to take in order to gain muscle mass or train for a physique competition, you likely don't think about fish oil. There is a problem with that. Taking fish oil for body building can be one of the best things that you do in your supplement routing. Fish oil contains one of the most essential fatty acids that your body is lacking. EPA and DHA . Why Are EPA and DHA Fatty Acids Important? As you know when you are weight training you tear down your muscle in order to build additional muscle mass. This process causes a lot of inflammation. The inflammation caused during the workout process can lead to soreness, fatigue, and poor performance. EPA and DHA are two primary fighters of inflammation within the body. This has been suggested in studies that the reduction in oxidation and inflammation will greatly increase performance gains. In addition to the reduction of oxidation and inflammation, EPA and DHA in fish oil does other amazing things to the body. Taking fish oil for bodybuilding may help with protein synthesis. That's right, when you supplement fish oil into your diet your body gets better at processing the protein you take in and converting that protein into muscle. Why Fish Oil For Bodybuilding? Let's take a look at how you gain muscle. DHA and EPA have been shown to help with protein synthesis within the body. This will increase your overall starting number. DHA an EPA found in fish oils reduce oxidation and inflammation which can lead to degradation of muscle tissues. higher protein syntheses and lower muscle degradation mean more muscle gains! Now can fish oil do this on its own? Probably not. There is a lot to getting enough anti oxidants in the body to be able to fight inflammation and increase recovery, but fish oil is a huge helper. If you're thinking about taking fish oil for bodybuilding then the chances are pretty high that you are already taking other supplements. And that is ok! Well, remember how fish oil can help with protein synthesis? Think about the number of protein supplements you take in a normal lifting cycle. Fish oil may help your body absorb things like Branch Chain Amino Acids BCAAs. This is because BCAAs are amino acids necessary to help with protein synthesis. So combining them with fish oil may give you the added benefit of being able to get the most out of your supplement. Also, many bodybuilders take whey protein supplements daily. If you are taking a fish oil supplement along with your whey protein shake you are probably going to see an increase in your body's ability to put on muscle. This is because of how fish oil assists your body's natural ability to synthesize protein. Can't I Just Eat Fish? If you're not a picky eater and love cold water fish like salmon and cod, then you may be getting enough natural fish oil in your diet. The CDC recommends 2-3 servings per week of cold water fish. If you are going the natural route, then you want to make sure all of your fish is wild caught. Farm raised fish have lower levels of Omega 3 fatty acids in them and won't have the health benefits that you would see from a fish oil supplement. A common concern about taking a fish oil supplement is having the stinky fishy breath. While there may be a little aftertaste from a fish oil supplement it is nothing that a mint cannot take care of. Also, it is nothing compared to a garlic supplement. The fish breath will be far outweighed by the benefits you see in your body.